Now that Maine has voted to embrace ranked choice voting, there is a move to bring it to Massachusetts. Unfortunately, this is a solution in search of a problem, and our problem is far different than Maine’s. Maine’s problem is they have far too many candidates on the November ballot, or shall we say far too many progressive candidates on the ballot. 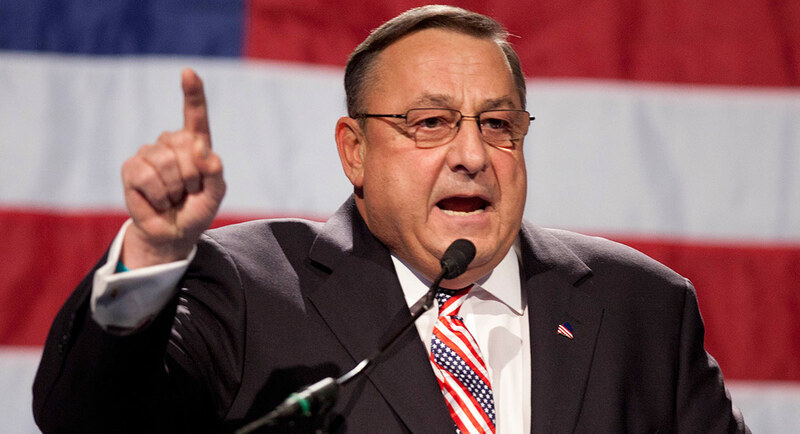 Splitting the progressive vote between two progressive candidates (Democrat and independent) has allowed for Paul LePage to be elected with 38% and 48% of the vote. Ranked choice voting would have kept LePage out of the governor’s mansion in Maine, and would have permitted a candidate to be elected that was more in line with the values of Maine voters. For the most part, our problem is not with independent candidates dividing the progressive vote, although the argument can certainly be made that Evan Falchuk gave Charlie Baker the opportunity to be a minority governor. The real problem in Massachusetts is the lack of competition up and down the ballot. Massachusetts is a one-party state. The Democratic Party has become a very large tent, resulting in some very conservative (by Massachusetts standards) folks winning election as Democrats. This illusion has resulted in voters installing a Republican in the corner office to watch over the Democrats, when in reality the more conservative legislative leadership (at least in the House) is much more likely to align with the governor than they would with a true progressive leader. Ranked-choice voting will land us in the same place where we are right now. Uncontested or lightly contested general election races where the Democrat will be assured of victory in November. The only cure would be to have a system where two Democrats could end up being the only names on the ballot in November. How does that happen? Simple. Instead of this ranked choice scheme, let’s look to California and their electoral reforms. California went to an open primary system where everyone can run in the primary, and the top two candidates emerge to run in the general election. California, just like Massachusetts, leaves nobody in suspense as to which party will win the general election. The difference is that California had a general election contest where voters chose which Democrat would become their United States Senator. It really is a ranked choice system, except that it adds to the possibility of two candidates of the same party making it to the November ballot. It also gives folks time to reevaluate the candidates one on one after the primary, instead of the third place candidate’s votes being automatically distributed among the top two finishers. For those who are thinking of working for ranked-choice, my plea is please stop now. It may look like a cool idea, and it was the right solution for Maine. It’s wrong for Massachusetts. It won’t solve our problems. Let’s work for a California-style open primary, with the top two candidates moving forward in November. That is the cure for the rampant wave of uncontested races on our ballot, which will give us more and better choices in November. I think RCV is a superior solution to two-two open primaries. Under top-two, most general elections will still be fairly conventional Democrat vs. Republican exercise, but whereas a few of these involve third parties today, virtually none will occur under top two. Fewer voices and choices in the general election, will likely depress voter turnout, as appears to be the case in California, which saw record-low turnout in its last midterms. It also means excluding these third party alternative ideas from the general election debate, a step backwards for those that see benefit in a vibrant democracy that hosts a marketplace of ideas. Also, top-two doesn’t do as good a job at eliminating vote-splitting as RCV does. To illustrate, imagine 2 Republicans and 4 Democrats run in the primary, and the two Republicans each get 20% of the vote each of the 4 Democrats get 15%. Both Republicans advance despite the fact that Democrats got more votes. In fact, this appears to have happened in some of the California contests. By simulating a series of runoffs instead of a single runoff, RCV is able to fix the vote-splitting in a more comprehensive way. Pablo as usual makes some good observations, but on second reading they seem orthogonal to IRV, which for some reason we are calling RCV (did they do that in Maine, and if so is there an actual difference in the two systems?). “this idea is bad because I have a better idea to solve a completely different problem.” Okay. The issue of what political scientists call “interest articulation” always heats up when the electoral college is about to do its thing. Changing the rules of the game always has the potential to produce winners and losers, though not always in the ways expected. However, I’d like to propose a different criteria for thinking about voting systems: Does it entail voting strategies that benefit less-evil choices? Or does it make an uncomplicated honest vote possible without risk of unintended consequences? E.g., Do you have to vote for Nixon and not Gandhi to prevent Hitler from winning? IRV/RCV scores pretty well on that respect. Not perfectly as it turns out: there are some special cases, but better than our current system. Another argument against IRV is that its complexity would suppress voter turnout. I am not sure what to make of that, but we will soon have actual data about turnout from Maine. From 20-25% a year and substantially higher than municipal turnout in cities that still have FPTP. I used to have strong reservations about the way PR is done in Cambridge, but I’ve come to accept it as a system that largely works. I think cumulative voting would be a better model for a 9 member body, but IRV for single member districts or executive offices makes a ton of sense. I strongly feel the Massachusetts Democratic Party should implement it for our primaries, it would avoid elections like the 2013 House CD-5 special election or the 2016 First Suffolk and Middlesex Senate special election where the winner wins a paltry plurality (20-25%) of the total vote. It would also reduce negative scorched earth campaigns. Adopting it nationally might also make sense to preserve unity and fairness, it solves a lot of the acrimony between the Sanders and Clinton factions if the election isn’t winner take all. Pablo’s method seems to have depressed turnout in California where it’s Senate general election was an afterthought. It also created the infamous Sherman-Berman race where two identical Democrats in similar districts were forced via redistricting to run in a non-partisan primary against one another and then again in a general election. This race was incredibly negative and wasted hundreds of millions of dollars that could have been spent in swing state districts that cycle. In Louisiana it was initially a reform to keep the old Dixiecratic party in power that now essentially prevents Democrats from making it to the runoff barring extraordinarily poor Republicans like David Vitter or Kennedy today. It would have a similar effect here in reducing competitiveness between the parties further entrenching a supermajority that isn’t working particularly well. It would also embolden conservative Democrats at the expense of progressive ones. Take in point the 2013 US Senate special. In a non-partisan primary it is likely Lynch advances to the general election runoff rather than Gomez, and then the unenrolled and Republican voters having no Republican to vote for would select the more conservative Democrat. I would suspect a similar result in the 2006 contest would’ve sent Tom Reilly to the governorship rather than Deval Patrick. Electoral systems like this shouldn’t be outcome oriented but based on what process maximizes turnout and is most mathematically fair. IRV isn’t perfect, but it’s the least imperfect system we have. It would substantially reduce the spoiler effect allowing third parties to play a wider role in our politics as they do in parliamentary systems. It would increase women and minority representation in government. And it would reduce negative campainging and restore some civility to government. The legislature would have to provide for IRV and it would apply to all parties. The Massachusetts Democratic Party cannot do it unilaterally. could authorize parties to do so if they chose.